Brazil says it may contact whistleblower Edward Snowden to clarify reports of NSA spying on Brazilians. The country’s Foreign Minister Antonio Patriota made the announcement during a Senate hearing. “I don’t rule out the hypothesis of seeking out contact with Mr Snowden, something that doesn’t need to be carried out on Brazilian territory,” he said. Brazilian President Dilma Rousseff also confirmed on Wednesday that reports of probes into the allegations are awaited and a decision on future steps would be taken soon. President Rousseff had earlier ordered a probe by the federal police and the telecom regulator Anatel into the charges of NSA tracking emails and phone records of Brazilian firms and citizens. “The position of Brazil on this matter is very clear and firm. We do not agree, under any circumstances, with such meddling, not just in Brazil but in any other country,” Rousseff said on Monday. The Brazilian foreign minister asserted on Wednesday that Snowden’s input would be relevant during the probe. 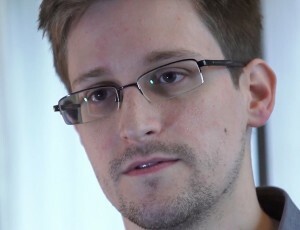 “Snowden’s participation is absolutely relevant and pertinent,” said Patriota. Brazil’s O’Globo newspaper had last week published a report citing documents from former National Security Agency contractor Edward Snowden which show that email and phone records of citizens and companies of Brazil have been under surveillance by the NSA. Search giant Google’s role in the incident will also be probed according to Rousseff. “We need to see where data was stored,” Rousseff has said.